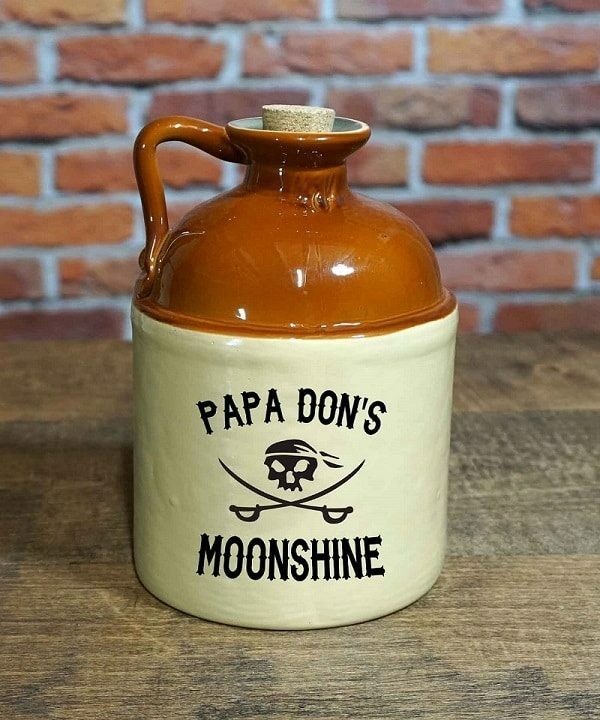 Smuggle in style with our Moonshine Jug that holds 750ml of whatever you need it to (we’re not asking questions)! Cork stopper included to protect valuable contents while you’re on the run. 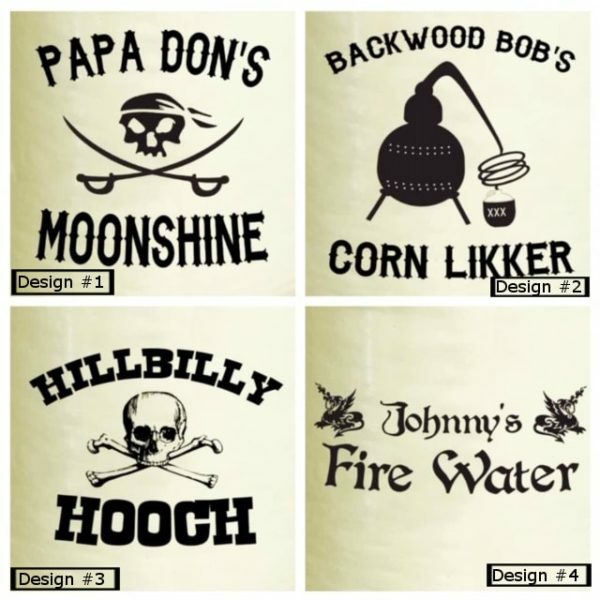 Free Personalization: Choose from one of our four designs. 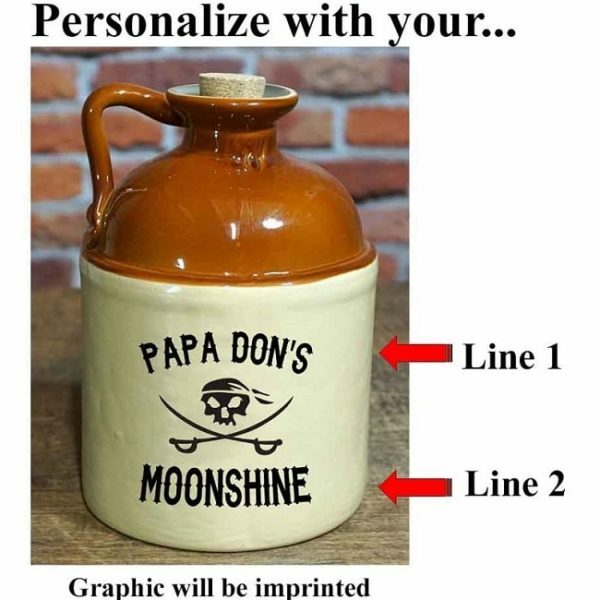 We’ll personalize your selected design with two lines of custom text for no extra cost. A smuggler’s life isn’t easy. 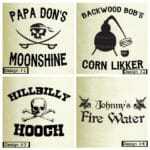 Being on the run from the law every day is tiresome and leads a man to develop a thirst for the homemade stuff. 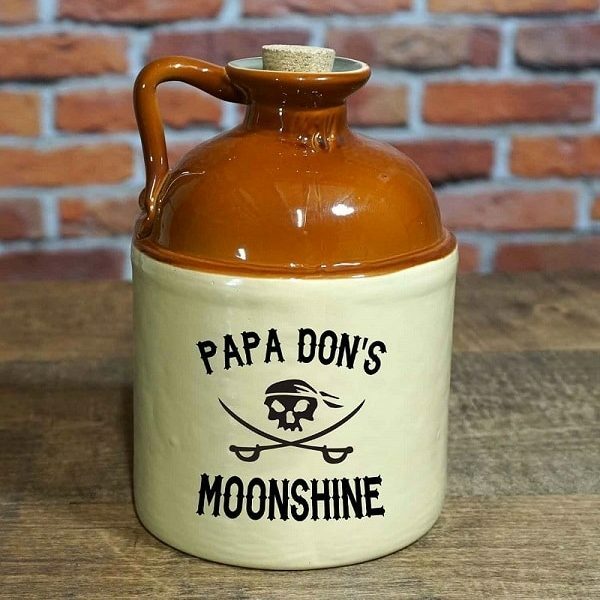 Our Moonshine Smuggler’s Jug features a prohibition era design and holds 750 ml whatever concoction you’re trying to get across the border. 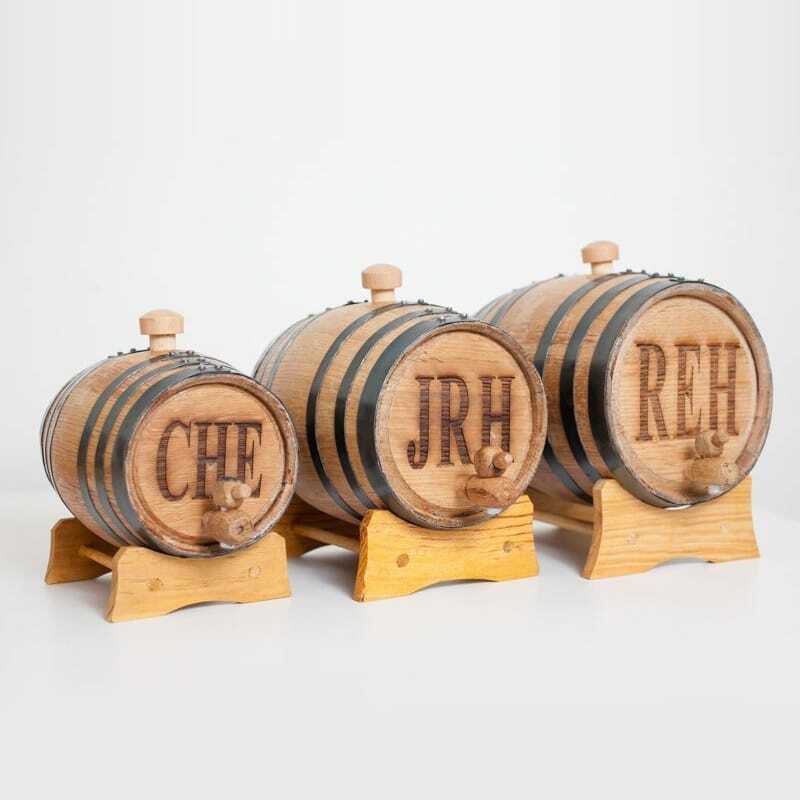 It’ll make a great gift for your fellow smuggling groomsmen — or a cool addition to your own home bar. 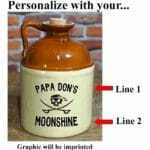 The jugs are made of heavy duty glass with your imprinted design taking center stage. A cork is included for easy sealing while you’re on the run. 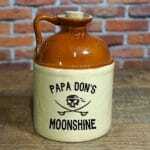 Glass with a rustic jug finish.